What Is Overheating In Pregnancy? How would you rate your fluid intake in pregnancy? If you are not feeling that proud about it, this is the time to think about the central heating system of your body. Pregnancy is already considered a “hot” period, and you should be doing enough to prevent your body from overheating. Read on to know more about the impact of overheating during pregnancy. A temperature rise of above 39.5 degree Centigrade in a pregnant body is considered as overheating. It can be also termed hyperthermia in pregnancy. One of the worst facts about overheating is that, you might not necessarily feel uncomfortable even if your body temperature is picking up. However, look for the following pointers which indicate you are getting too overheat during pregnancy. Immediately reach your health practitioner if you develop other signs like vomiting and painful contractions. Some of the factors which contribute to excessive heating of the body are discussed here. Research indicates temperature above 39 degree C can result in neural tube defects in the fetus. This malformation occurs due to a failure in closing the neural tube post 25 days of conception. Overheating after the first trimester can also cause dehydration, dizziness, and nausea. Some other consequences of hyperthermia in pregnancy are fetal growth retardation, intrauterine death, and neural abnormality. A high maternal fever can result in cleft lip and palate in the fetus (2). During prenatal exercises, if you are overexerting yourself under strenuous physical activity for prolonged periods or working out in hot and humid conditions, chances are that you will develop overheating. Doing moderate exercises in normal temperature results in a minimal increase in body core temperature. Similarly, increased maternal plasma volume (up to 50%) during pregnancy helps to maintain optimal fetomaternal heat transfer and dissipation. Stay hydrated throughout pregnancy. It will not only keep you away from dehydration but also helps you to perspire freely and in turn cools your body. Avoid prolonged exercises, especially during hot days. Do not exercise for more than 45 minutes at a stretch and stick to low-impact exercises. Indulge in any physical activity in a cool and well-ventilated environment. Wear light and loose fitting clothing. Sweating need not be an indicator of how hot you are. Avoid saunas and steam baths (3). Pregnancy adds to one’s body temperature, irrespective of the weather or any physical activity by a pregnant woman. With 40% more blood pumping through the body to nourish the fetus, a pregnant body does enough work to heat the internal system. Even the heart is said to enlarge a little in pregnancy and moves to a side with the enlarging uterus occupying more space in the body. It is natural for the body to work more to cool the entire system. Hence, summer time adds to the heat quotient, and care should be taken by pregnant women to beat it. Follow these tips to cool your body in pregnancy. Not just in the form of water, but the intake of as many fluids is advisable. Fresh juices of all sorts will be the most refreshing. But don’t have those fizzy soft drinks. Staying hydrated can also reduce the risk of swelling, a common pregnancy-related ailment. Caffeine is already a no-no in the diet list of pregnant women. Here is another reason not to drink it. Caffeine increases blood pressure and temperature of the body. Opt for a smoothie instead. Reduce the spice content in food and gorge on some soothing ones instead. Water-rich fruits are desirable. Eat as many melons, grapefruits, and berries. You can even pick some cucumber and lettuce to eat raw. Natural yogurt and ice lollies with fresh juices are some delectable treats for summer. Why should you hit the gym and sweat when you have a better workout option in the gentle waters? Swimming is considered to be one of the best prenatal workout regimes. If you already have a warm body, swimming will be the best exercise form to choose. Just as swimming gives a pleasurable workout experience to your heavy-weighing body, it also beautifully cools the body temperature. Pregnancy is not the time to rush. Meditate deeply, bring down the body temperature through some deep and invigorating breathing exercises. You will not only develop a great concord with your inner self but also gradually develop a stronger bonding with the developing life within you. Pregnancy is one of the best experiences a woman will undergo in life. Sweat the heat out and be “cool”. What do you think? 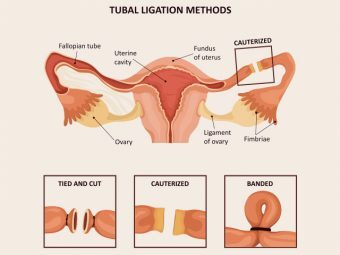 Is It Safe To Have A Transvaginal Scan During Pregnancy? 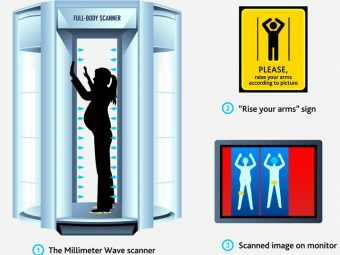 Airport Security Scanners and Pregnancy: Do They Go Along?